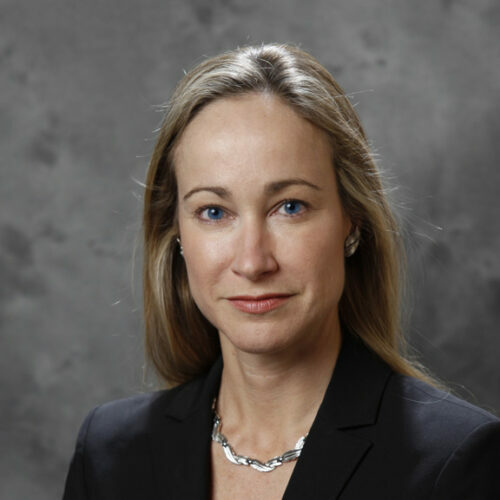 Anne Tennant is a Managing Director and is the General Counsel of Morgan Stanley Wealth Management (WM), the wealth management division of Morgan Stanley. Anne leads a team of approximately 70 professionals who advise the business on legal issues and regulatory requirements involving the division’s broad product and services offerings. Anne previously served as head of Client Litigation for the Wealth Management business. Anne is a member of the WM Operating Committee. She is a member of the SIFMA Compliance and Legal Society’s Executive Committee. Prior to joining Morgan Stanley in 1999, Anne practiced as a securities litigator with a leading Florida law firm, where she specialized in representing financial institutions in court litigation, arbitrations, and regulatory proceedings before the SEC and the self-regulatory organizations. She holds a J.D. with honors from the University of Florida and a B.S. in Business Administration from the University of North Carolina, Chapel Hill.